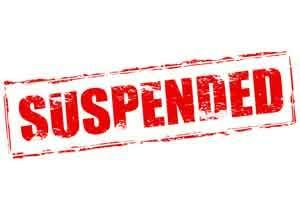 Jaipur: Rajasthan government suspended three doctors, including a principal medical officer, and shunted out five others in connection with 90 infant deaths in last two months at a state-run hospital in Banswara district. Disciplinary action was taken against four nursing employees also in connection with the deaths at the MG Hospital, a statement said. Taking action on an inquiry report, state health minister Kalicharan Saraf ordered the suspension of principal medical officer (PMO) Dr V K Jain, gynaecologist Dr P C Yadav and block PMO Dr Jitendra Banjara. Saraf had ordered an inquiry after the matter came to light last week and sought a report in three days. Five doctors including Dr Manisha Chaudhary, gynaecologist Dr Divya Pathak, Dr O P Upadhaya, Dr Jayshree Jain and Dr Shalini Nanawati have been removed and put in the awaiting posting order (APO) category, the statement said. It, however, did not reveal the findings of the inquiry. Banswara district is nearly 500 kms from Rajasthan capital Jaipur.